In case you did not know, all trip to Machu Picchu begins with the reservation of the tickets Machu Picchu and the train tickets; After booking this “in advance”, you can choose and book your hotel, guides and additional tours. This is because all reservations will depend on your date of entry to Machu Picchu. Below is the list of frequently asked questions about trains to Machu Picchu. The train tickets to Machu Picchu are as important as the Machu Picchu tickets, unless you go by the Inca Trail (4 days) or by Santa Maria, the only way you will get to Machu Picchu is by train, so Book tickets in advance; These are the questions most people ask about trains to Machu Picchu. If I want to cancel my train tickets, how far in advance should I do it? If you pay for your tickets in cash, you can cancel reservations for your train tickets up to 24 hours in advance; It can only be done in person, at the corresponding train stations, from 7 am to 5 pm; The return is immediate with the 10% surcharge. If you pay for your train tickets with a credit card or a bank deposit, you must request the return of your money through the following email: devolucionespasajero@perurail.com with a maximum of 24 hours before the departure of the train; The surcharge for this operation is 10%. The refund of the money you pay for your ticket will be credited to your credit card or through the bank account with which you paid for your train tickets. Are there sale of tickets for foreigners and Peruvians? 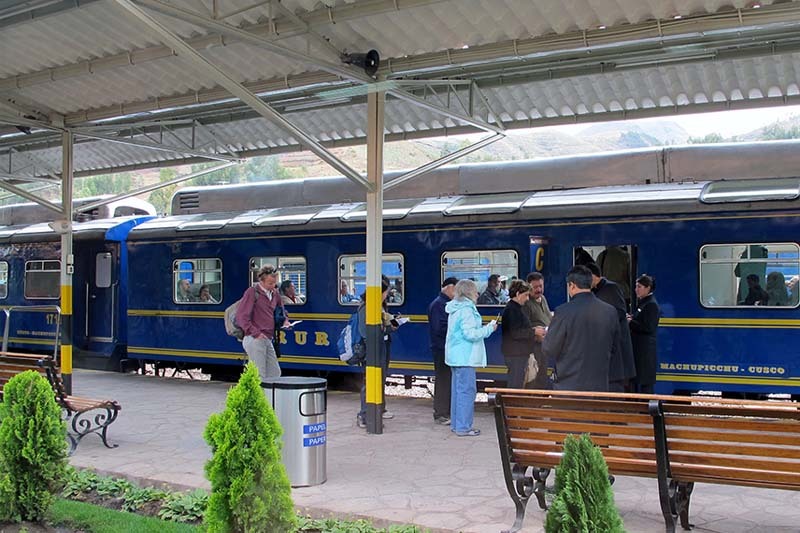 All people of all nationalities can hire the Hiram Bingham, Vistadome, Expedition and Andean Explorer train services in PeruRail or any of Inca Rail services; However, there is a local train to Machu Picchu that is exclusive to people from the department of Cusco and can not be approached by foreigners. How far in advance should I buy my train ticket in high season? The high season in Machu Picchu occurs in the months of June, July and August; If you want to get the train tickets for these dates, like the tickets Machu Picchu, you must reserve them with 3 months in advance. However the high season of trains is considered between April 1 and November 14 and December 21 to 31. If I do not get to the station on time, can I use the train ticket for another time? No, you definitely will not be able to use that train ticket. If you do not arrive at the station on time you will not be able to use your ticket for another service or other schedule; You will not receive a refund of any kind. What happens if I lose or want to cancel my train ticket? If you lose your train ticket, the train company is not obliged to reimburse you. However, you can request a new ticket by paying a penalty. If you lost your train ticket you must request a new one at least one hour before the departure of the train, otherwise it will be considered absent (no show). The most recommended in case of loss is to request the ticket 24 hours before the departure of the train. 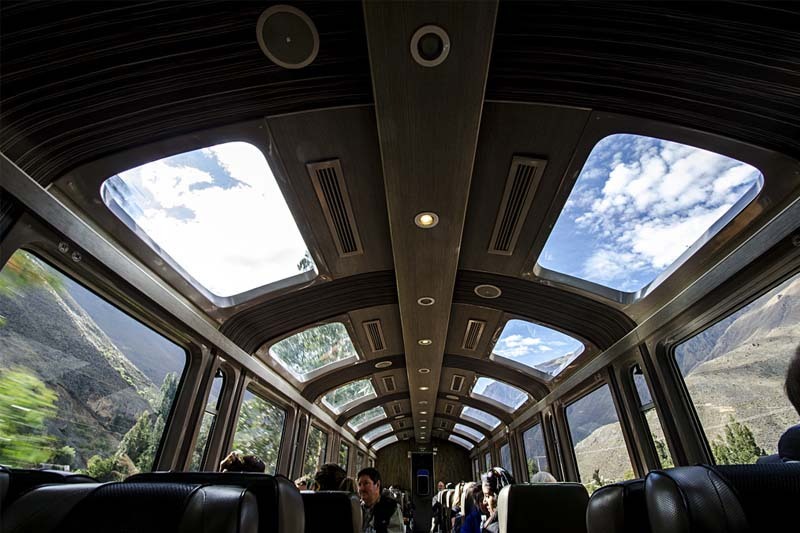 If you purchased your train tickets online for the services Vistadome, Expedition and Andean Explorer, you can request a change of schedule or service through the email reservas@perurail.com. If you buy your train tickets at the Belmond Hiram Bingham you will need to send an email to hirambinghamreservations@perurail.com; To avoid setbacks, attach the copy of your scanned receipt. If you wish to reschedule your trip, you can do so with a maximum of 24 hours before the departure of your train; So your seat will be released and you can reschedule your trip. The rescheduling of train tickets is subject to a 10% penalty. Note that you can change your train ticket for a ticket in a smaller service; However, there is no refund of money for the difference in price. If you buy your train ticket online, you must request the return through devolucionespasajero@perurail.com; If you buy your ticket in person in Cusco, you must cancel your ticket directly at the offices of the train company that you contract. In case of Inca Rail, please consult its website. Be sure to do this with a maximum of 24 hours before the departure of the train. You can only do this with your valid passport. What do train tickets include? All the trains to Machu Picchu finish in the station of Aguas Calientes ; After arriving here you must board the buses until the entrance to Machu Picchu . 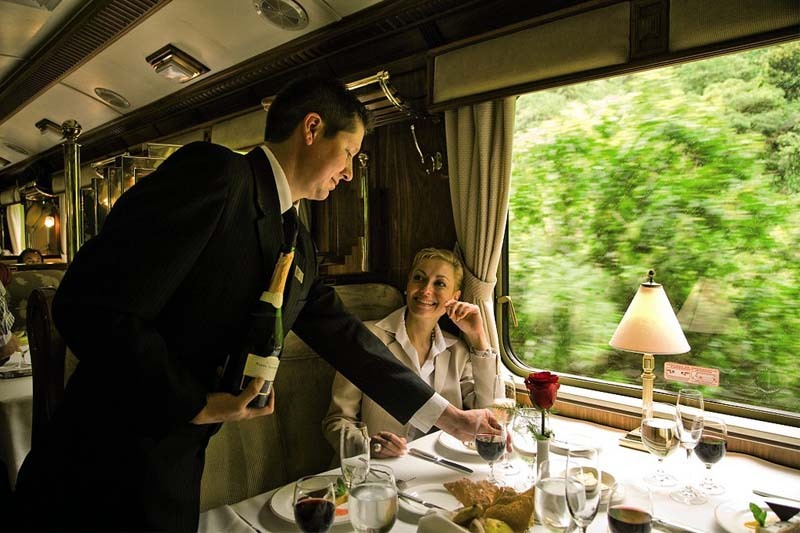 The only train service that includes the Machu Picchu tickets and Bus tickets is the Belmond Hiram Bingham; Depending on the services you want to include in your trip. Does the train leave me at Aguas Calientes (Machu Picchu Pueblo) or at the entrance to Machu Picchu? All the trains to Machu Picchu finish in the station of Aguas Calientes; After arriving here you must board the buses until the entrance to Machu Picchu. The only train service that includes the Machu Picchu tickets and Bus tickets is the Belmond Hiram Bingham; Depending on the services you want to include in your trip. Does any train service include the entrance to the citadel of Machu Picchu and / or the up and down bus? The Belmond Hiram Bingham train service, in the only service that includes everything: the train, bus, entrance and guided in the citadel of Machu Picchu. How long before I must be at the train station? Unless you need to take a copy of your lost ticket, in which case you must be at least 1 hour in advance; You can reach the train station 30 minutes before the departure of your train. How long does it take to get from Cusco to the train station of Ollantaytambo? It will take about an hour and a half to get to Ollantaytambo. If you are coming by yourself, take the buses to Ollantaytambo, from Pavitos street; However, the best way to take a trip to Machu Picchu is on an organized tour. If you wish we can help you organize your entire trip to Machu Picchu; Just contact us at info@boletomachupicchu.com. How long does the train journey from Ollantaytambo to Machu Picchu? The journey takes about 1 hour and 40 minutes. The train journey through the Sacred Valley of the Incas is considered among the best short train routes in the world, so enjoy it. Does any train allow stops for the passengers who make the Inca Trail? Yes it is possible, if you could get one of the precious income to the Inca Trail, some trains will allow you to stop at the whereabouts that lead to the Inca Trail; However, you must communicate your intention to stop the company at the time of booking your train tickets and at least 2 weeks in advance. How much baggage can I take in the train? Only one hand bag or backpack with the same size as that permitted in aircraft cabins is permitted: 8 kg (11 lb) maximum. Dimensions: 50 centimeters long by 40 centimeters wide and 25 centimeters high. Do children pay for the train ticket? Infants 0 and 2 years old do not need a train ticket and should be seated with their parents; But if you decide that your children are seated, you can pay a child’s fee between 3 and 11 years that is 50% of the ticket price. Attention! The information provided is accurate at the time of publication, however this information may change without notice; So we recommend you contact the train companies directly, should you have a problem with your train tickets or reservation dates.